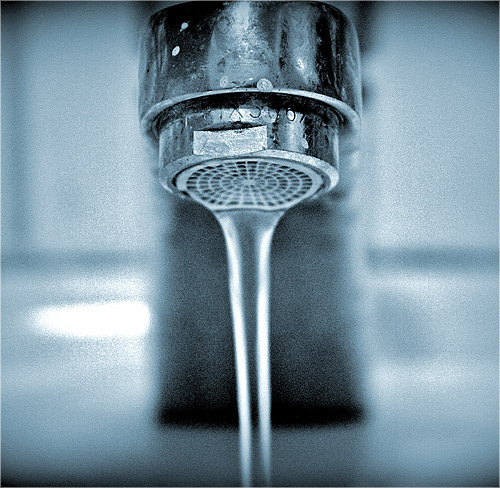 PHILADELPHIA (CN) – A Pennsylvania family argued before the Third Circuit on Thursday morning that they are entitled to medical monitoring after their drinking water was contaminated by the U.S. Navy. The Warminster and Willow Grove Navy bases incorrectly disposed of hazardous waste for decades, according to a 2016 lawsuit filed by Kristen Giovanni. PFCs and other toxic chemicals entered the groundwater in Warminster, Warrington and Horsham townships and polluted public and private drinking wells, the complaint states. Giovanni, along with her family, sued the Navy over the contamination and asked that the government pay for medical monitoring. Her case was originally brought in Montgomery County, Pa., but was later removed to Philadelphia federal court. The Giovanni family claims their private well was contaminated by the Navy’s discharges, in addition to the local public water supply. A federal judge dismissed the case, and the Giovannis appealed to the Third Circuit last summer. At oral arguments Thursday morning, U.S. Circuit Judge Kent Jordan asked Mark Cuker, who represents the Giovanni family, why he wasn’t seeking punitive damages. “We’re not asking for money in our pockets, we’re asking for a government fund to monitor. One of the state requirements if you pollute in Pennsylvania is you’re responsible for medical monitoring,” Cuker responded. Cuker made sure to be clear that the plaintiffs are not looking for a cleanup or another remedy, just the medical monitoring. The proposed monitoring would include blood tests and coverage for medical costs. Jeff Beelaert, representing the Navy, argued that medical monitoring would interfere with the ongoing removal and remedial actions at these sites. U.S. Circuit Judges Stephanos Bibas and Anthony Scirica rounded out Thursday’s panel. All three judges questioned how medical monitoring would affect the cleanup. Beelaert argued that, instead of going after the Navy, area residents like the Giovannis could try to recover under the Comprehensive Environmental Response, Compensation, and Liability Act and the Resource Conservation and Recovery Act. Families in the area continue to receive bottles of water and clean public water from the Navy, according to Beelaert. It is unclear when the Third Circuit will issue a decision in the case.